This episode was very much to set up the next episode or two. The Snow Queen has cast The Spell of Shattered Sight and the town only has until sundown to do something to save themselves. Belle finds a spell that would make basically an antidote to the spell but they need something from someone who has already had the spell cast on them. Elsa goes in search of Ana and through the use of the necklace, actually a Wishing Star, they were reunited but not in time. Rumple had Hook use the hat in a room full of fairies, allowing it to collect enough power to activate itself. The episode ended with everyone locking themselves away from all loved ones and hoping to ride out the spell. Judging by the previews for next week no one stays where they planned on staying and all hell breaks loose. While everyone is running around trying to save themselves, Rumple is thinking only about getting the hat charged so he can be free of the dagger and be all powerful. He does ask The Snow Queen to allow him to leave with Belle and Henry which she agrees to. Unfortunately for Belle and Henry they do not get out of town in time and are forced to be locked away just like everyone else. Rumple does want to save the only two people he cares about in this world. He appears to want to save loved ones but we have learned, especially in the last few episodes, that any good in Rumple is barely a whisper now. After this episode in particular I have very little hope left for any type of redemption for this man. Last season he seemed so much on the path of good and turning his life around, he seemed to actually want to change. But the death of Neil really shook him and he stopped moving in that positive direction. The problem with Rumple is that he cannot give up any type of power. He loves power and control more than he loves anything and anyone else. He says, “If I have to choose between everyone else and me, me wins every time.” Rumple is selfish. No gets to defeat him or break him down. He lived that life once and he will never return to it no matter what it may cost those around him. As long as Rumple is the Dark One he cannot ever think beyond the scope of power. His vision will alway have that dagger hanging on the edge. His mind and his actions will alway come down to choosing that power and that control. Always. The only way Rumple will ever be able to begin on a path to real redemption is if he is no longer The Dark One. Somehow, someway he needs to lose his status as The Dark One. He can’t think clearly when he has this power hanging over and tempting him. With that dagger he can be controlled and no one controls Rumple outside of Rumple. Rumple will be found out sooner or later. When everyone learns what he has done, purely for selfish reasons, he is going to lose everything. Belle will leave him. Emma and Regina will not allow Henry to be anywhere near him. He will become enemy number one of Storybrooke. And when he realizes that he is alone and hated he is going fully embrace the darkness that flats in his soul and he is going to fight until his death. I don’t see Rumple surviving much longer. While Rumple is destroying himself he is also destroying Hook. Hook has no heart currently. Rumple has completely control over his actions. Whatever he says Hook has to do. In this episode we watched as Hook is forced to attack and kill all the fairies. Unlike Rumple, Hook has come a very long way. Hook went from a man who only cared about himself and his ship to a man who gave that ship up in order to save the woman he loves with all his heart. Emma is his world now. He adores her. He will do anything to be better for her. And now he is standing without a heart and as an accomplice to atrocities. If Emma breaks down and pushes Hook away, telling him that he can’t be trusted and that she only sees him as a bad person who makes bad decisions, it will utterly destroy Hook. 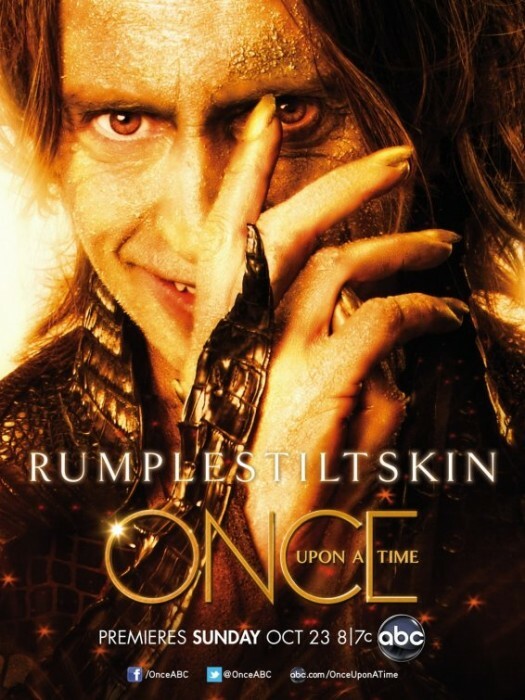 While Rumple will be consumed by darkness and implode. Hook will drown in grief and guilt and ultimately cause his own demise. My hope is that everyone else will be able to stand and up tell Emma that Hook is not to blame for what he has done over the last few episodes. Regina will be especially powerful for this purpose because she has done what Rumple is doing. She has taken someone’s heart (Graham’s) and controlled them, until death. She can explain how it works, and tell Emma that the individual has no power or control, no matter what they do. Hopefully Emma will see that. This is one case where words are going to have to speak louder than actions. “You’re talking like a hero,” – Snow – She is talking to Emma. Emma is immune to the curse so she is going to have to find that inner strength and power in order to save everyone she loves. “I let my heart pull me elsewhere,” – Regina – Regina spent much of her life ignoring her heart, scared to death to let it be put in a vulnerable position ever again. Now her heart is out and laying where it can be hurt or destroyed and she is terrified. How will what they say and do affect them later on? Can they realize it is the curse talking? How are Emma, Elsa and Ana going to save everyone? When will they all learn what Rumple has done with the hat and to Hook? What will Belle and Henry do when they find out what Rumple has done? When will he use that hat? Can Hook survive his actions? Will Hook survive this incident? What was in the bottle that Elsa and Ana’s parents put in the ocean? What will The Snow Queen do during this time? Posted on December 1, 2014, in Once Upon a Time, Tv Shows and tagged Captain Swan, control, Dark One, Hook and Emma, Once Upon a time, power, Rumple, Spell of Shattered Sight, tv show review. Bookmark the permalink. Leave a comment.